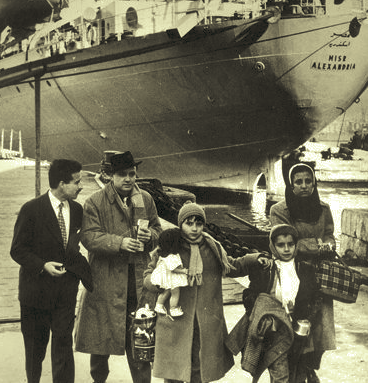 Following the unfortunate events of 1956 and the Suez Canal crisis, hundreds of Jewish families packed their belongings and left Egypt, most boarding ships sailing from Alexandria , bound for 26 European Mediterranean ports.My family chose Italy, my father's dream land. As a Corfiot he felt Venice was his cultural home, so we were on our way to Venice and Trieste. The vessel was the S/S Enoiria, a smaller version of the famous S/S Esperia of Adriatica fame, those white luxury liners that rode the Mediterranean with the Lion of Venice watching over from the yellow chimneys. We took the lift down from our fifth floor flat in Mazarita for the last time. Some of our neighbours opened their front doors and stood in silence on the landings to watch us go. Mohammed, our imposing Sudanese (porter), was sobbing like a child. There was no coming back. The emotion was high and my mother could not stop her tears. Dad became tense as we went through customs and police clearance, but felt more comfortable as he walked the steps to the deck. After all, he was already on Italian soil. As for myself, I was in a daze, feeling that something irreversible was taking place, but too young to realise the implications. I was probably hoping to find another group of youngsters at the other end that would recreate the rock 'n' roll fun-loving crowd I had left behind. As the ship started to move away from the dock and head for the high seas, we all waved goodbye, and slowly turned our heads from the land that we were not to see again for perhaps half a century. I noticed a few young people around my age and naturally was drawn to them. My parents by now were in conversation with other Jews who were on their way to Canada. Others were due to catch a ship from Trieste to Australia. Suddenly someone said," but tomorrow night is Pesach night. Shouldn't we mark the occasion somehow?" A charming and understanding officer decided we could use a section of the dining room, and I recall about 25 of us sitting around a number of tables assembled to form a long table. To top it all, as a gift from the Captain, a beautiful cake was placed in the centre of the table with the compliments of the Chef, the crew and the officers. How embarrassing: no matzah but instead a massive torta to celebrate the festival of the unleavened bread. I remember my father laughing and I also remember a discussion on who would officiate. A Haggada was found. I cannot remember whether or not the cake was eaten. We were Jews leaving Egypt, celebrating Jews leaving Egypt. Had we fallen into a mysterious time warp? Although not realising it at the time, we had gone through a unique experience never to be repeated. This time the bread had risen. Wishing all readers Hag Pesah Sameah or a Happy Easter! The path of Mordechai Ben-Porat passes through sensitive intersections of modern Israeli history. He immigrated to Israel in 1945 and after the establishment of the State of Israel became the first officer of the IDF officers' course. During his mission in Iraq, he was arrested by the Iraqi secret police and a step away from execution. He escaped from his detention and escaped on one of the immigrant planes to Israel.In Israel he enlisted to assist in the absorption of immigrants in the tent camps and became the founding father of Or Yehuda and of the Babylonian Jewry Heritage Center.He was a disciple of David Ben-Gurion who appointed him, along with others, to the executors of his will. In his search for the challenges of public activity, he was elected to the Knesset and became minister in the governments of Yitzhak Shamir. He worked tirelessly to achieve national reconciliation and to establish a national unity government. Mordechai Ben-Porat reveals new details about central personalities in Israeli politics, including Moshe Dayan, Menachem Begin, Shimon Peres, Yitzhak Rabin. Prime Minister Menachem Begin appointed him to head the ministerial committee to formulate a solution to the Arab refugee problem. The committee's recommendations are still relevant and are presented in the book. He worked tirelessly to integrate the Sephardim in society and fought for the Jews of Arab lands and to achieve justice for them.In 1974, he initiated the establishment of the World Organization of Jews from Arab Countries, which organized international conferences and raised the claims of Jews from Arab lands for justice.Under his influence, Moshe Dayan, when he was foreign minister, raised the issue at the United Nations General Assembly and demanded equal treatment with the issue of Arab refugees.It's a shame that foreign ministers have not followed through. Mordechai Ben-Porat's book tells a fascinating life story of a man of great deeds who worked secretly and openly for the state and the community. The Sephardic Synagogue Magen David in Washington expressed its gratitude to King Mohammed VI for launching a restoration project of cemeteries of Moroccan-born Jews. A ceremony was organized by the Synagogue during which participants lauded the lofty actions of the King to preserve the Moroccan Jewish heritage at home and abroad. 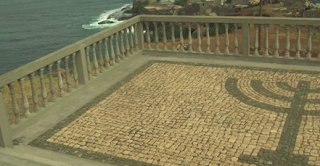 Castiel also recalled that in June 2015, a Jews delegation from Cape Verde made a trip to the country of their ancestors, Morocco, on the initiative of the ministry of Moroccans living abroad and Migration Affairs. 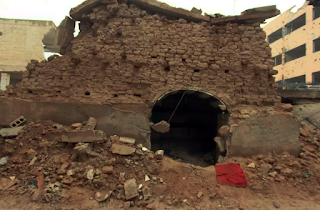 In a formal complaint sent to the United Nations Security Council, Syria’s Ambassador to the UN Bashar Ja’afari accused the two countries of cooperating with “terrorist groups” to remove valuable items from the Eliyahu Hanavi Synagogue, also known as the Jobar Synagogue. 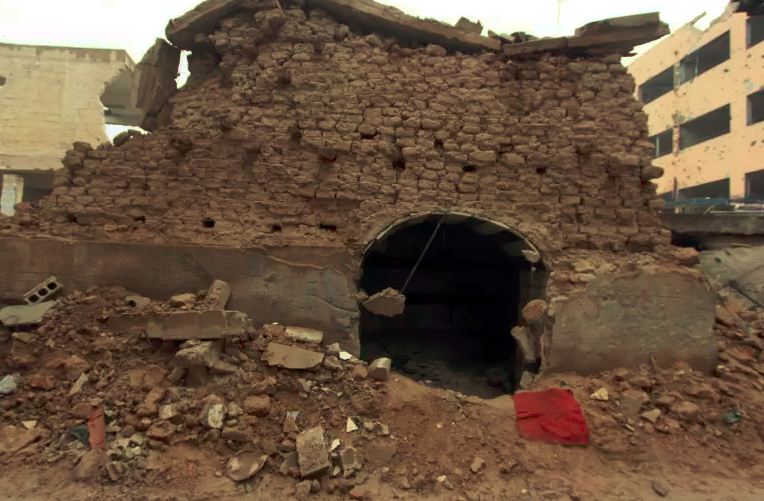 “[My] government wishes to transmit highly credible intelligence to the effect that the terrorist groups that are active in the area of Jobar, near Damascus, cooperated with the Turkish and Israeli intelligence services to loot artifacts and manuscripts from the ancient synagogue there,” Ja’afari said. In a response provided exclusively to The Jerusalem Post, Ambassador to the UN Danny Danon called the letter a distraction aimed at drawing the world’s attention away from the Syrian civil war, which has left more than 500,000 people dead over the past seven years. 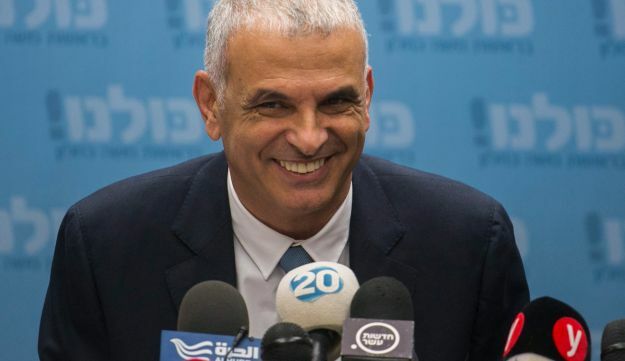 Israel's finance minister Moshe Kahlon is of Libyan origin, but he's not quite the bridge-builder with the Palestinians that Haaretz would like him to be. He speaks basic Arabic but has some honest things to say in the language: he tells his Palestinian interlocutors that he is the minister from the refugee camp - the ma'abara where his mother still lives. And declaring 'Rahat al-Quds!' ('You've lost Jerusalem') is his way of speaking truth to power, albeit with a smile. 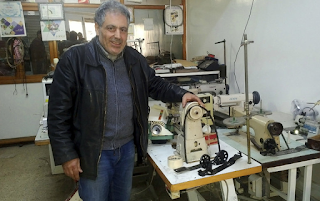 March 23, 2018 Tunis, Tunisia —Simon Slama and his family are the only Jews left in the Tunisian city of Monastir, once home to a thriving Jewish community. But instead of joining the exodus, he is running for office – as a candidate of Tunisia's Islamist party. 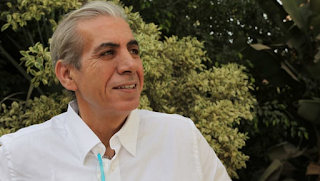 Mr. Slama's candidacy with the Ennahdha party in May municipal elections is causing a sensation in this overwhelmingly Muslim country, and some controversy. A sewing machine salesman and repairman, Slama says he just wants to serve his country and the city where he was born, suffering from economic difficulties and social tensions. Slama returned to Monastir, on the Mediterranean coast about 105 miles south of the capital, Tunis, after studying in the French city of Strasbourg even as other Jewish families left because "we love the city and it has the spirit of my ancestors." Prime minister Benjamin Netanyahu is beset by allegations of scandal and corruption, but his Sephardi/Mizrahi support base in Israel's poor periphery remains solid. This New York Times article by Isabel Kershner typically attributes his popularity to Sephardi resentment of the Ashkenazi 'discrimination' these Jews experienced on arrival in Israel. But it is fear and mistrust of the Arabs, among whom they lived for generations, which drives their politics. Reflecting one of Israel’s oldest social divides, many of Likud’s staunchest supporters come from so-called development towns like Kiryat Malachi. These grew out of transit camps hurriedly set up in the 1950s to absorb waves of immigrants, mainly Sephardic Jews from Arab countries. The country’s Zionist pioneers of European descent, socialists who dominated the state after it was founded in 1948, were struggling to populate the more remote corners of their young and poor country. So they directed the new immigrants to these once-desolate outposts while denigrating their culture. The tents and shacks gave way to rows of public housing that became hubs for the have-nots on the margins of Israeli society. The development towns have since expanded to include neat neighborhoods of single-family homes and have absorbed immigrants from Ethiopia and the former Soviet Union. 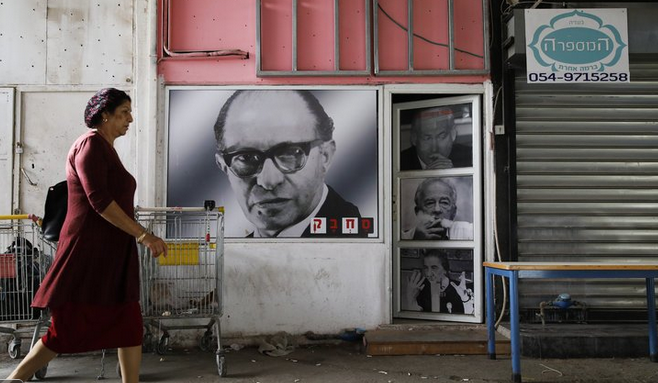 Former Prime Minister Menachem Begin was the first leader to harness the feelings of resentment among the Sephardic Jews, helping to sweep Likud to its first victory in 1977. The power of the conservative camp has only grown since. But among Netanyahu supporters, the underdog sentiment and distrust of the old, liberal elite still run deep. Israel has long been polarized between a hawkish right-wing that has taken a harder line toward the Palestinians and a leftist camp more willing to compromise on territory to reach an accommodation. “The Sephardim in Israel won’t change their skin even if there’s no food in the house,” said the greengrocer, Mr. Ayyash, whose family came from Morocco. He described how his mother would sit in their tin shack with six of her 11 children on her lap to keep them off the wet floor in winter. Mr. Ayyash said all five of his children, now married, also support Likud. The 150,000-shekel ($43,000) Prime Minister's Prize for Encouraging and Empowering Research about Jewish Communities in Arab Countries and Iran was split equally among the three winners: Dr. Ovadia Yerushalmi, for his research titled "The Five Long Minutes" on the arrests of hundreds of Egyptian Jews in the 1967 Six-Day War; the Association for Society and Culture of Yemenite Jewish Tradition, for its publication of the Teima Journal for Judeo-Yemenite Studies; and the World Organization of Libyan Jews for Gershon Stav's "From the Abyss" research on Libyan Jewry during World War II. This was the second year of the ceremony was held, after Gamliel suggested the prize and won the cabinet's approval and a budget in 2016. The 2018 ceremony was attended by Cabinet Secretary Tzachi Braverman, research institute and publishing house Yad Ben-Zvi's CEO Ya'akov Yaniv, academics and social activists. "Over the past two years, the State of Israel, which has taken part in historic injustices [in failing to sufficiently recognize Mizrahi Jews], is itself spearheading efforts to bring historic justice through the Social Equality Ministry," Gamliel said. "It is important that we honor the pioneers who have invested all of their efforts to research the legacy and history of Eastern Jewry, turning the wheels of history." Israel’s Eurovision entry is already the favorite to win the tournament on betting sites, and now, it’s arousing interest in Arab countries as well. 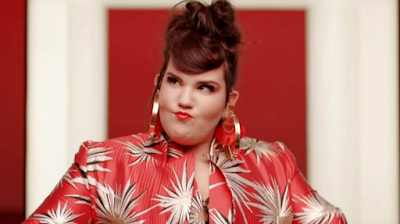 The Foreign Ministry shared a video of Netta Barzilai performing “Toy” on its Arabic-language Facebook page, which has 1.5 million followers. Several users declared that they hate Israel but nevertheless wished Barzilai success. Olaya, a woman from Morocco, wrote, “I’m in love with this song!” Another Moroccan even invited Barzilai to make a joint video with two Moroccan singers. Abu Majd from Saudi Arabia was also encouraging. “This isn’t the type of music I like, but this song has everything it takes to become an international hit,” he wrote. Ahmed, an employee of Iraq’s Interior Ministry, wished Barzilai luck. That prompted an Egyptian, also named Ahmed, to attack him. Another user called the song "wonderful", saying it mixes Arabic, Western and European music. A resident of Yemen said Barzilai had a beautiful voice and also wished her luck. Yonatan Gonen, who heads the Arabic desk in the Foreign Ministry’s digital diplomacy department, said the post also garnered many comments from women, even though the page has few female followers. Long, who flew especially from Los Angeles to Israel, was very excited: a Yemenite folklore group from Kiryat Ekron who came to the event in Be'er Sheva, dressed him in traditional Yemenite dress and led him by playing drums and dancing to the hall next to the synagogue. Many people, already adults in their eighties, got to their feet and gave him lengthy applause. The aliya of Yemenite Jews was made possible thanks to the airline, when Israel did not have a national airline. Only this American company was willing to fly the Jews from Yemen to Israel, with little means. During the flight, the captain's navigational equipment failed and he navigated by looking at the sky. "When we got to Israel, I asked the control tower to turn on the lights on the runway, but there were none, because there was a war. Now, when I arrived in Israel, I saw at the airport in Lod a picture of the airport as it was 70 years ago and as I remember it. " 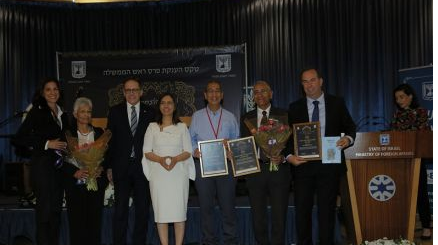 "The pilot is one of the best people from the early years of the country who took a huge risk," said the initiator of the event, Dr. Yigal Ben-Shalom, chairman of the Yemenite Heritage Foundation. A special Yemenite evening, held in honor of the pilot, was put on by the Northern Yemen dance company from Kiryat Ekron and the Be'er Sheva singer Ram Cohen. During the day, Long was a guest at Hatzerim base, and visited the Israel Air Force Museum. The visit and tours in Israel were led and accompanied by Dr. Yigal Ben-Shalom, Chairman of the Association for the Promotion of the Heritage of the Jews of Yemen, with help from StandWithUs. During his visit, he is expected to meet with President Reuven Rivlin and visit as a guest of the Knesset, an event sponsored by Minister Gila Gamliel and others. Long flew the plane secretly, in a bold and dangerous operation in which thousands of Yemenite Jews immigrated to Israel, passing over enemy states exactly 70 years ago, starting on the eve of the country's establishment. The second part of the operation between 1949 and 1950 brought about another 50,000 Jews. 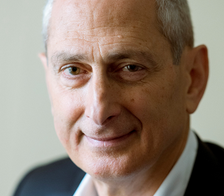 Ben-Shalom commented: "First of all, Long is one of those good people at the birth of the country who took a huge risk for us and we appreciate his contribution because we, many of the Yemenite Jews who came to Israel and their descendants, simply owe him the success of the secret immigration to Israel. His encounter with those who immigrated and their children and with other immigrants from Yemen points to something else that is no less astonishing in the Zionist enterprise. With all the difficulty of a different culture, with all the difficulties of integration, the Yemenite Jews succeeded here amazingly. Long is so excited to meet happy, happy people who live here, families, and succeed in their professions in all areas of life. " Most of the Mizrahim in Israel, that is, those who are called Mizrahim, are no longer Mizrahi. They do not have much to do with the East, and what they do is exactly what the third generation Poles have with the East, and what the French have with the East. Mainly music and food. Those who speak in the name of "Mizrahim" or "Orientalism" are usually the ones who have undergone a process of politicisation. You can call it "Westernization". They recommend to others what they have not adopted for themselves. There is no dispute that there was discrimination and racism. The TV series Sallah, Here is the Land of Israel - and before that the film - presents these things. And in any case, when you look at the gaps between East and West - there is no doubt that the encounter between them created discrimination and racism. This happened within the framework of colonial control in the Middle East, and it happened with waves of immigration from the East to the West. But the fact that there was - and there is - discrimination, oppression, exclusion and racism does not make the Middle East a worthy alternative. The solution, as long as there is a solution, is not Easternisation, because one of the greatest differences between East and West is the status of women. Compare Ashkenazi oppression and Eastern-style oppression: the first is much less terrible. It is doubtful whether any of the activists of the current protest movement would want to live under an oriental regime, that is, a patriarchal Arab one. Edward Said, one of the most influential intellectuals of the last half-century, was more concerned with representations and descriptions of the East in the service of the West than in the East itself. The East mostly fits the descriptions of those writers and thinkers who so moulded Said. The East is patriarchal, magical, and usually primitive. That's a fact. This is not an opinion. There are also some good things there. Haredi culture has good too. So what? There is a rule that works in almost all human communities: the more patriarchal a society is, the weaker it is. The more a society discriminates against women, the lower its achievements. Most of the Mizrahim in Israel are no longer at that stage. And the more egalitarian the older Mizrahim are, the more equal they are. In a completely distorted fashion, some of the militants who fly the Mizrahi flag supported or supported Shas, which was once a conduit for protest, but nothing good can come out of a movement that has been for years trying to promote a return to the old patriarchy. It reminds me of the coalition of intellectuals and western progressives - such as Jeremy Corbyn, Judith Butler, Gianni Atimu (? ), Noam Chomsky, Slavoj Zižek and Norman Finkelstein - with the Islamists, including Hamas and Hezbollah. What they have in common is hatred of the West and an abhorrent hatred of Israel. It is anti-Semitic and destructive, and we do not have to import it here. Israel is not Britain. But it seems to be worth looking at what happened there. Hundreds of thousands of immigrants arrived in Britain in the 1950s and 1960s. Some came from Indian subcontinent, with similar economic backgrounds. There were Hindus and Sikhs and Muslims. There was racism and discrimination, and that was how it was. Now the Hindus are at the pinnacle of achievement. In education they surpassed the white natives and also the Jews, who until recently were the most educated group. Many Muslims have also advanced. But those who insisted on perpetuating the culture with which they came - mainly patriarchy and oppression of women - were left behind. They are in ghettos. One who oppresses is depressed, just as one who strives for equality. The Muslims advanced. The others advanced even further. All human beings are equal. Not all values ​​are equal, and not all cultures. Multiculturalism can be wonderful when it comes to music, art, art. In practice, multiculturalism has failed. The "other" remains within a cultural ghetto, with its customs and values ​​and with its culture. As early as 1999, Susan Muller Okin wrote the groundbreaking article: "Is Multiculturalism Bad for Women?" Nearly two decades have passed. The situation today is worse. Multiculturalism is bad for women, not just for women. It did not create integration. It created separatism. It perpetuated patriarchy. Muslim feminists in the West, such as Fadela Amara of France, (?) of Belgium, Sayran Atash(?) of Germany or Ayan Hirsi Ali of Holland, oppose multiculturalism. They know this is a false formula. The change will come from the liberation of the woman, not from the recognition that the culture of the "other" is equal. What did not work in the West will not work in Israel. Prof. Momy Dahan found, in the most serious study in the field, that the gaps between Ashkenazim and Sephardim are narrowing, both in terms of income and education. The gaps between Jews and Arabs are also shrinking, but there is a significant gap between Muslims and Christians in Israel. One can assume that Christians, by virtue of their Arab identity, also suffer discrimination, but they manage to overcome and achieve impressive achievements. In the matriculation exams, for example, they pass the Jews. Is this gap between the Christian population in Israel and the Muslim one related to patriarchy? Presumably yes. The higher the status of women, the better the community does. Poster from Sallah, this is Eretz Israel (English version: The Ancestral Sin). The film has been stirring controversy. Most of the Mizrahim in Israel, members of the second and third generation, do not exactly connect with the Mizrahi identity that some people try to infect them with. They want to live in a democratic and liberal state and even, God willing, Western. It is true that there is a phenomenon of Mizrahi youth who discover their Mizrahi identity, and there is something romantic about the phenomenon, but it is mainly a protest against discrimination, exclusion and racism. This is a protest that demands distributive justice, even in the field of culture. But despite the cultural yearning for the East, and even the construction of a memory, often imagined, of harmony between Jews and Arabs in Arab countries, it is doubtful whether any of the current protest activists would want to live under an oriental regime, that is, an Arab one. It was not always that way. The East was once more advanced. The oldest university in the world, El Kerouan, was established in Fez, Morocco. But that does not change the fact that in the past few centuries the Arab East has been lagging behind. One of the great problems of the East, which Yehoshafat Harkabi dealt with as early as the end of the 1960s, is the externalization of blame. There is no self-responsibility. They are all guilty. The West, capitalism, colonialism, Zionism. Just not the East itself. Patriarchy? Suppression of women? tyranny? Yuk. The flock of academically-blind bishops has become partners to the great deception that absolves the East of responsibility. The greatest challenge of the Arab East is to take responsibility. This does not mean that there are no signs of racism and discrimination today. We must fight for distributive justice, changing the municipal boundaries and theoretical education in places where there is still a paved road. But embracing racism, in and of itself, distances self-responsibility, and "integration into the East" is a recipe for exacerbating the problem. There was oppression. There was racism. It is not over. But that's not the point. Between Ashkenazi oppression and oppression in the style of Eastern countries - the first is much less terrible. After all, about 70 percent of those members of the oppressive generation have granddaughters and grandchildren of Mizrahi origin. The melting pot, despite all the blows it has sustained, is what is winning. It is therefore not advisable to be impressed by the claims of the postcolonial school, which is usually anti-Zionist. This is propaganda. And propaganda is also created in academia. Reality is much stronger. And it is winning. 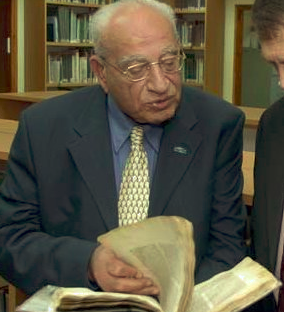 With the Iraqi-Jewish archive poised to return to Iraq in September 2018, businessman and philanthropist David A Dangoor makes a plea in JNS News for the archive to be a bridge-builder for normalising relations between Arabs and Jews and restoring the rights of Iraqi Jews. It does not matter to him where the archive ends up as long as Jews have access to it (with thanks: Imre, Independent Observer). The answer to what happens next should lie in not whose property it is, but where would it be best preserved and provide access for all, especially in its potential use as a gateway towards better relations between Jews and Arabs. Between 1950 and 1952, approximately 130,000 Iraqi Jews were airlifted to Israel, where they became fully integrated into the country despite their arrival with no assets. This constituted around 75 percent of the total Iraqi Jewish community at the time. While the creation of the State of Israel was the proximate driver, the Jewish community, which had been living in many places around Iraq, had already been traumatized by the Nazi-directed troubles in the early 1940s that highlighted the need for a safe haven, which Israel now represented. Those of us who remained behind subsequently fled in the ensuing years—after the Iraqi government stripped us of our citizenship, property and business interests—to places like the United Kingdom. Many of us, despite how it ended, look back fondly on our lives in Iraq and are deeply proud of our more than three-millennia sojourn there. Some of the greatest rabbis, scholars and artists enriched not only world Jewry with their work, but the non-Jewish world around them. Arabic was our mother tongue, our culture and a strong part of our identity. Iraq is still in our blood and in our bones. It’s like a distant bell ringing in the back of our heads, always reminding us where we came from. For those, like for me, Baghdad is the formation of our identity. To be a Jew is sometimes to be a bridge to the past, but I believe that we can also serve as bridges to the future. In the Iraq where I was raised, Jew, Christian, Muslim, Sunni or Shia worked, learned, sang and danced together. We lived side by side in peace and harmony. 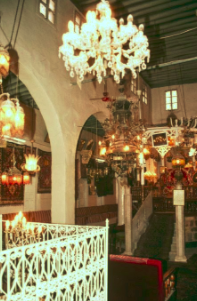 I believe that while the Jewish community there is no more, perhaps the Iraqi Jewish Archive can serve as a new conduit between peoples, nations and religions. With ISIS finally expelled from Iraq, this could be an auspicious time for Jews of Iraqi origins to rebuild ties with our former country, and for the leaders of the Republic of Iraq to provide gestures of reconciliation to its Diaspora Jewish community. We hope it could begin with ensuring the Jewish character of holy sites such as the Prophet Ezekiel and Ezra the Scribe, and that the cemeteries of our families and ancestors are well-maintained. Most of all, we hope to be provided with visas to visit Iraq, or better still, to have our passports and citizenship returned and restored. I know I speak for many when I say I would love to travel to Iraq to see my family home on the banks of the Tigris and visit the places in my dreams of childhood. For that to happen, there would need to be a complete change in the way the people and government of Iraq viewed people of different faiths. There would need to be a genuine desire to welcome them, treat them with care and consideration, and respect their national aspirations—something now common in many parts of the world. If this were to be achieved, it would matter less where the archive resided because we would have access to it. Perhaps an agreement could be formulated whereby the archive would also be on display at various locations, allowing this collection of artifacts to educate and inform others. For Jews and non-Jews around the world, this could serve as a testament to the good relations that Jews and Arabs shared in the past, and serve as a point of entry in exploring how these ties could become strong and vibrant once again. To Iraqis, the archive communicates the long-standing Jewish community that lived among them. They could demystify the tradition and culture of the Jewish people in the hopes of exploding certain myths and as a point of greater engagement. I call on all those who are involved in the issue not to use the Iraqi Jewish Archive as a point of division, but instead, as a point of unity and harmony. 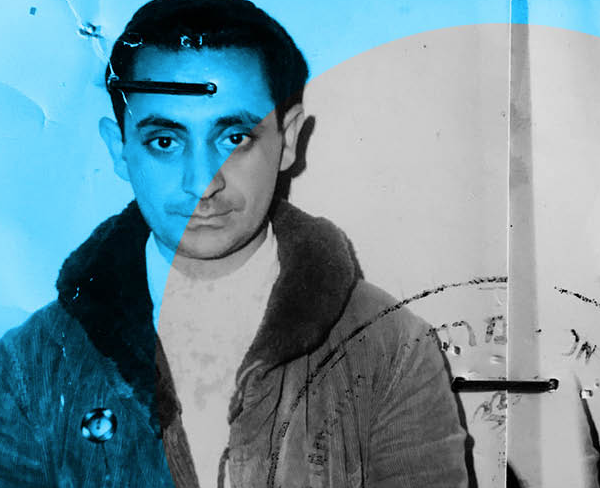 Not to hide the materials away in the dark, but to allow the artifacts to shine a light in informing the world about how Jews and Arabs are not so very different. About how we can and should live side by side. Let these artifacts inspire and not discourage relationships, so that we can regain aspirations of a better future for all the peoples of the region. 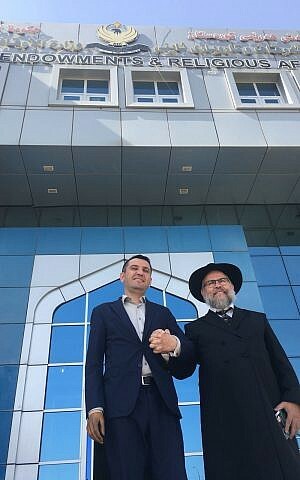 IRBIL, Iraq – After working for Iraqi Kurdistan’s Ministry of Endowment and Religious Affairs for two years, the region’s Jewish representative, Sherzad Mamsani, has been let go. The move is especially peculiar since Mamsani’s position was unpaid. A December 30, 2017 post on the Facebook page entitled Rabbi Daniel EDRI, Kurdistan claimed that the region had a new rabbi for the first time in years. The rabbi stressed that Israel did not send him and that he has no political motivations. “I will only work for the religion, since the [locals] do not have any information on the Jewish laws,” Edri said. Since the September referendum, Kurdish airports have been closed for international flights and Iraqi troops have taken control of disputed territories formerly overseen by the Kurds, including the oil rich city of Kirkuk. Iran also temporarily closed its borders with the Kurdistan region. Edri expects to return to Irbil as soon as international flights are resumed, although Naqshbandy said he would prefer to have a Kurdish rabbi who speaks the language. In most Muslim countries leaving Islam is considered a crime, but returning to Judaism is especially discouraged by the staunchly anti-Israel governments in Baghdad and Tehran. Both countries were incensed when Israeli flags appeared at rallies during the referendum campaign, where Israel was touted as the only state supporting the Kurdish demand for secession. Had Sephardim, not Ashkenazim been first to settle in Israel, they would have set up 'another crappy kingdom' in the Middle East. This is the view of Eli Moyal, Sderot's ex-mayor, himself of Moroccan origin. Moyal's reaction, reported by Haaretz, was part of the fall-out to the TV screening of The Ancestral Sin, a controversial documentary allegedly revealing discrimination by the Israeli authorities towards Middle Eastern and North African immigrants. The film has led to ministerial calls for the Jewish Agency archive to be opened, although at least one academic claims that the documentation has long been accessible to interested parties. Sderot ex-mayor Eli Moyal: how many universities in Morocco? Aired on Channel 2, “The Ancestral Sin” reveals archive documents, some reportedly shown for the first time, that show the racist, discriminatory attitudes Israeli authorities had toward immigrants from Middle Eastern and North African countries, who were relegated to development towns in outlying areas – mainly in the southern and desert areas. After the series was first broadcast, government authorities including Interior Ministry Arye Dery and Culture Minister Miri Regev demanded that the Agency archive be opened. “There is no reason for materials that deal with the country’s history not to be revealed. We will go over the documents and recommend publishing them, as long as they do not include matters that could jeopardize state security,” Shaked stated on Sunday. Jawad Al-Khoei: Violence in our region has its origins here. We are all in the same boat. There is no difference between Syria, Iraq, and so on. Some of the violence is the outcome of the injustice of the dictatorships that ruled us. Poverty, ignorance, deprivation, and oppression all stem from that. Some of the violence is religious violence. It exploits religion. The birth of ISIS is not an anomaly. ISIS is deeply rooted in Islam. Its roots can be traced back 1,400 years, to the first century of Islam. When you read [Islamic] history, you find that people would kill someone, then exhume the body, cut off his head, and then burn the body. Hostess: But all nations experienced this kind of violence. Jawad Al-Khoei: Fine. But violence is a bad thing, and when it dons the cloak of religion, it is a hundred times more evil. Hostess: From what you are saying it sounds as if violence is predestined to remain in this region, because it is so deeply rooted. Jawad Al-Khoei: No. This depends on our determination, our resolve, and the will of our rulers. If our rulers really want… I mean, is it really conceivable that to this day, there is not a single page in the religious curricula in Iraq about Christianity or about the Yazidi faith?